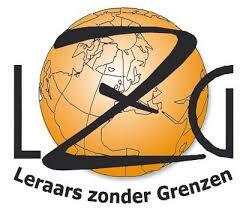 Oye LENA has been working together with Leraars Zonder Grenzen (LZG, Teachers Without Borders) since 30 May 2013. We are very proud that we are included in their projects. Thanks to LZG we are now able to issue a fiscal certificate for your donations. Furthermore, LZG helps us to promote our organisation and to increase our project’s popularity in Belgium. Of course we also hope to learn a lot from their experiences! Godparents and other donors who would like to get a fiscal certificate can deposit their donation into the LZG bank account from now on (at least 40 euros a year) with the specific mention of Oye LENA. This mention is very important: without it, the project will not receive a penny!